Exploring the quintessence of musical folklore so dear to his heart, in the form of his still neglected ländler and waltzes, right up to the last notes of the Sonata in B flat on the eve of his death, Schubert takes us from the simplest language to the innermost reaches of the soul. 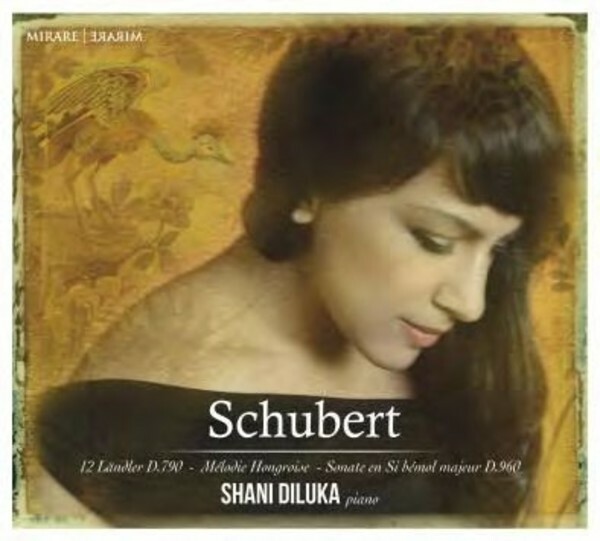 One can hardly dream of a more appropriate pianist than Shani Diluka to guide us through these works and offer us an interpretation shifting between shadows and light, touching on the mystery of the invisible, as Novalis said. Here she performs some of the Viennese composer’s finest pieces.